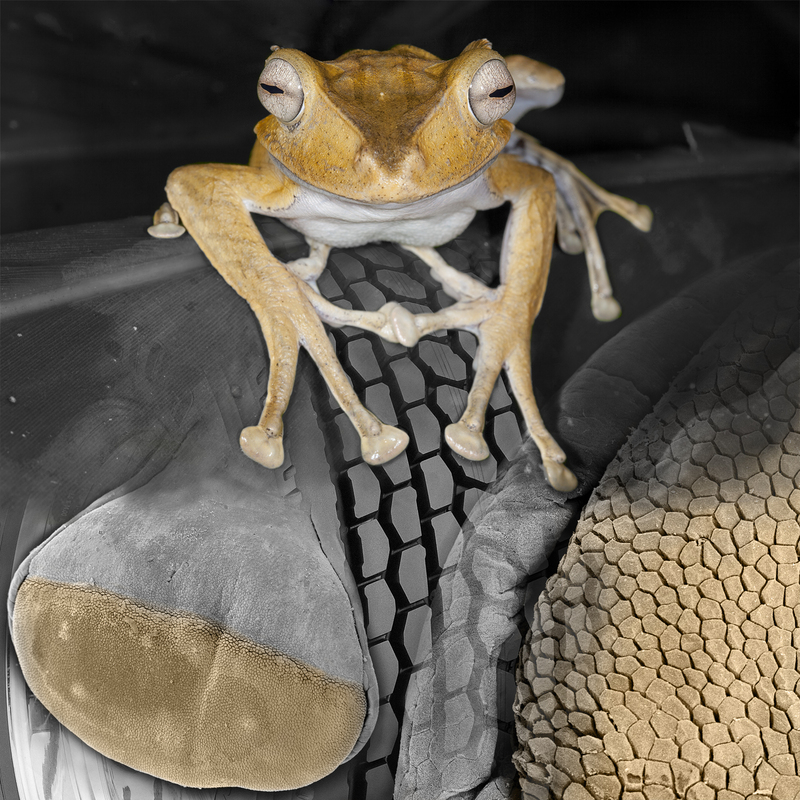 Tree frogs use adhesive pads at the end of each of their digits to climb smooth surfaces. The pad's surface is structured with individual cells, separated by channels, which not only resembles the tread of a car tyre but most likely serves the same purpose: to drain away excess water from the contact area, to allow close conformation with the substrate. My research on the structure and function of frog pads may inspire the development of artificial adhesives which can stick in wet conditions.